Democratic Congressman Robert Francis "Beto" O'Rourke, an Irish-American who adopted the Mexican nickname during his childhood in Texas, officially announced on Friday that he will run for U.S. Senate in 2018 against Sen. Ted Cruz (R., Texas). O'Rourke, 44 years old, is the son of Patrick Francis "Pat" O'Rourke, an El Paso judge whose family immigrated to the United States from Ireland three generations earlier. It was in El Paso that the young Robert began going by "Beto," a common nickname in Mexico for people named Roberto. The Mexican nickname came in handy in 2012 when O'Rourke decided to challenge eight-term incumbent Democrat Silvestre Reyes in a congressional district that is 75 percent Mexican and just 2 percent Irish. O'Rourke won and has since legislated under the belief that he is the representative for both the people of El Paso and neighbor across the U.S. border, Juarez, arguing that it is his responsibility to look after the interests of the Mexican city. "In my role as a representative for El Paso, I've got to take into account what's going on in Juarez," O'Rourke told Buzzfeed in 2014. A year earlier, O'Rourke told Reason that he thinks the United States should "open up the border" with Mexico between El Paso and Juarez. He has stated that there is no border crisis. O'Rourke has discounted safety concerns in Juarez—one of the most deadly cities in the world—and complained about State Department warnings about traveling to the Mexican city. "You wouldn't have a travel advisory to Detroit, or New Orleans, or Washington, D.C., and yet the State Department issues one for Ciudad Juarez," O'Rourke said. O'Rourke recently took a Washington Post reporter on a hike up a hill near El Paso in an attempt to illustrate how blurred the border line between the cities is. 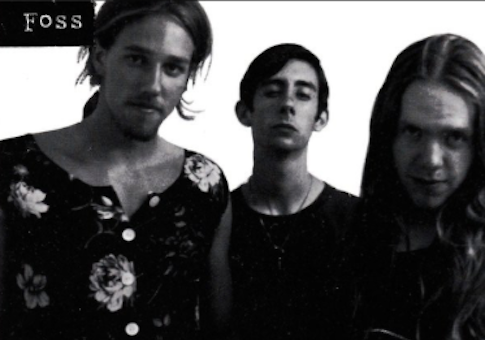 O'Rourke's decision to act as a representative for Mexico is not typical for members of the U.S. Congress, but neither is the route O'Rourke took to his job in Washington, D.C.
After receiving an English literature degree from Columbia University O'Rourke went on to form a punk band, Foss, that would tour through both the United States and Canada. 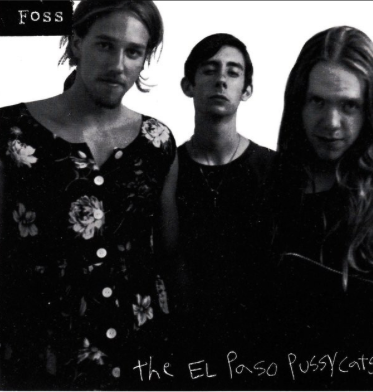 Songs from one of the band's albums, "The El Paso Pussycats," can still be listened to on MySpace. O'Rourke also established an arrest record for himself before entering politics, which was used in attack ads from the Democratic incumbent he challenged in 2012. First, in 1995, he was taken in on burglary charges. He says he was jumping a fence at the University of Texas-El Paso as part of "a prank gone awry." Then, in 1998, he was arrested for drunk driving. Though O'Rourke entered Congress as an outsider—both Barack Obama and Bill Clinton supported his opponent—he has fallen in line with party leadership since moving to Washington, D.C.
Vote studies conducted by CQ show that O'Rourke voted with party leadership 98 percent of the time in 2016. He has never voted with leadership less than 93 percent of the time, which was his rate during his first year as a congressman in 2013. Although Bill Clinton actively campaigned against him in 2012, O'Rourke also fell in line as a superdelegate for Hillary Clinton at the Democratic National Convention in 2016. "I am supporting Hillary Clinton because she represents the best opportunity for experienced leadership in the world's most important job," O'Rourke said last summer. O'Rourke has been critical of Cruz for his involvement in national politics, arguing that he has forgotten that his job is to serve the people of Texas. "He's been running for president for four years while he should have been serving the people in Texas," O'Rourke said. O'Rourke's ability to raise the millions of dollars that campaign operatives believe would be needed to compete with Cruz in a state-wide race has been questioned. O'Rourke, however, is shunning the opinions of operatives and says he has no plans to hire any of them. "Democrats have spent close to a billion dollars on consultants and pollsters and experts and campaign wizards and have performed terribly," he told the Texas Tribune on Thursday. He said he doesn't know how he will win, but that he is sure that he will. "Tactically, strategically, I don’t know," O’Rourke said. "It’ll come from Texas, and I have faith and trust the people of this state will make the best decision in the interest of their families and their kids … I just trust that." "I’m not going to do this and lose," he said. "I’m only going to do this if we can win, and I’m going to run to win, and I know no [Democrat has] figured out how to do this." It is worth noting that history is not on O'Rourke's side. The last Democratic member of the House of Representatives to use a nickname for the majority of his life and then attempt a Senate run was defeated handily by Sen. Marco Rubio (R., Fla.), who, like Cruz, ran for president in 2016. This entry was posted in Politics and tagged Beto O'Rourke, Illegal Immigration, Senate, Ted Cruz. Bookmark the permalink.